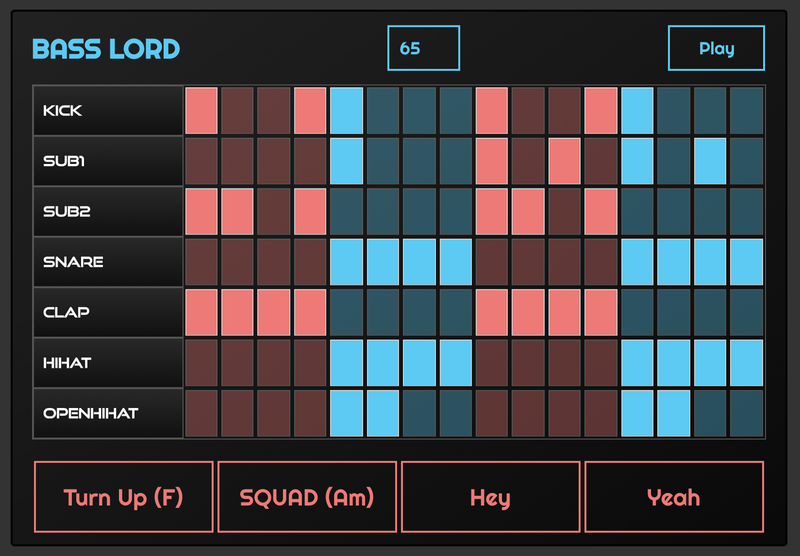 How I used GraphQL Subscriptions to build HypeBeats — a real-time collaborative beatbox with React Hooks Drum Machine & GraphQL. To view the live demo, click here. To view the repo, click here. A few weeks ago I saw this talk at React NYC from Ken Wheeler about building a beatbox using React Hooks. I was pretty hyped after watching it. I then found the repo for it, cloned it & started thinking what I could do to make it even more interesting. With a step sequencer you move in sequence from left to right stepping over each item in the sequence. If the item is highlighted, the associated sound plays. If a beat is set to 0 it does not play (not highlighted), if it’s set to 1 (highlighted) then it does play, if it’s set to 2 (blinking) it plays triple. 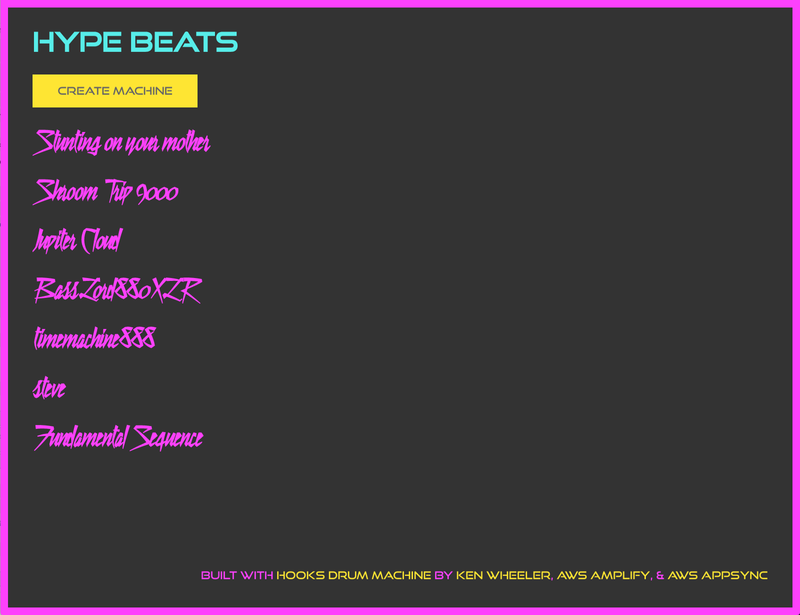 To learn more about how the drum machine works under the hood, check out the video here. The thought I had was making this collaborative. To do so, I needed to add the capabilities to create & share unique drum machines. Users can make updates / changes to the machines in real time & the music will update across all machines as changes are made. Because the state of the drum machine is a basic JSON object, I figured we could stringify the data & store it in our database pretty easily (beats). In addition to the beats data, each drum machine has a unique id & a name property for us to use to identify it & query for it. There is also a clientId in order to handle subscription data, giving us a way to filter out duplicates on the client. We parse the url & retrieve the machine name & id for use in our component. We use the machine name in our UI & we use the id to create or query for the machine. The updateBeatBox method is called in Step.js. Other than that, I pretty much used the functionality of the drum machine as is! To view the final repo, click here. To try it out the drum machine, click here. The next things I’d like to do to this is add more beats! I’d also like to add some more sounds. If you’d like to contribute to this, feel free to reach out to me & or submit a pull request! If you’d like to deploy this application yourself, check out the documentation in the repo to get up & running. Special thanks to Ken Wheeler for making the drum machine! My Name is Nader Dabit . I am a Developer Advocate at AWS working with projects like AWS AppSync and AWS Amplify. I’m also the author of React Native in Action, & the editor of React Native Training & OpenGraphQL.